The Civil Rights Unit of the Attorney General’s office is an investigative and law enforcement agency. We conduct investigations into complaints of violation of Vermont law’s laws prohibiting employment discrimination. Where we find that the law has been violated, we may go to court to ensure future compliance with the law, to assist an aggrieved person or persons in obtaining appropriate remedies, and to obtain appropriate civil penalties and awards of costs and fees. The Office of the Attorney General does not act as the attorney for persons aggrieved by violations of law. When we receive a complaint (i.e., when a person contacts our office and claims his/her rights have been violated), we engage in a screening process. Complaints that are not related to our statutory jurisdiction are referred to other agencies as appropriate. Once we have determined we have a complaint that relates to potential violation of employment law over which we have jurisdiction, we ask the complainant to complete a questionnaire outlining the basis for the claim and giving us basic information. This can be done over the phone, if needed, but typically we mail the questionnaire and the complainant completes it on his/her own. The questionnaire may be completed and submitted online as well. When completed questionnaires are returned to our office, we review them, and if a “prima facie” case is stated, we draft a charge outlining the basic factual elements stating a violation of law. This charge is forwarded to the complaining party for his/her to review for accuracy, and if accurate and truthful, for him/her to sign before a notary and return to us. Sometimes we need more information than is provided in the questionnaire, and have to follow up with a phone call to the complainant. Sometimes it is clear, based on the questionnaire itself or on follow up information, that no prima facie case has been stated. In those cases, we do not draft a charge, and we notify the complainant in writing of our decision not to pursue his/her claims. Once the charge is signed by the individual (Complainant) and returned to us, we open a case file, notify the EEOC of any aspects of the charge which could state a violation of federal law, and send copies of the charge and EEOC notification documents to the employer (Respondent). The Respondent is asked to answer the charge, point-by-point, in writing. Both parties may be invited to participate in the Office’s free mediation program. On receipt of the Respondent’s answer the file is reviewed to assess whether to proceed with further investigation. In most cases, the Respondent’s answer is sent to the Complainant for review and a written response. If both parties had expressed interest in mediation, the case may be referred to a mediator at this point. After the Complainant’s response to the Respondent’s point-by-point answer is received, the Respondent is usually sent a request for additional documentation, including rosters of employees, personnel & time records, personnel evaluations, and the like. Sometimes several documentary requests are made during the investigation. If a Respondent does not cooperate, the Attorney General’s office may petition the Superior Court for an order requiring Respondent to comply. Sometimes cases are closed after documentation is received from the Respondent, either because it becomes clear that no violation of law can be proven, or because the facts supporting a finding of violation of law are admitted. If additional evidence is needed, a full investigation is conducted. Full investigation usually involves interviewing relevant witnesses, reviewing documents on-site as needed, and visiting the worksite. Sometimes parties may be asked to attend a fact-finding session at the office of the Attorney General. The office is willing to engage in settlement discussions at any time in the investigative process. Prior to the issuance of a determination, the office usually attempts to reach a conciliated agreement when it appears that there is evidence of a violation of law. 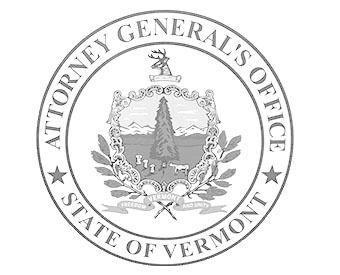 The office attempts to assist the parties in reaching agreement that is satisfactory to them, and seeks an agreement, on behalf of the public, that ensures adequate training and policy changes to avoid future violations of law, and that compensates the State of Vermont for the cost of the investigation. After the investigation is completed, if conciliation and other settlement efforts have failed, the office issues findings, stating the nature of the charge, the response, the evidence discovered during the investigation, and whether or not there was a violation of law. If no violation of law is found the file is closed at this point. The Attorney General generally asks the Respondent to engage in settlement discussions after a finding that there was a violation of law. Typically, efforts to resolve the case continue for at least 30 days after the issuance of a cause finding. After finding that there was probably a violation of law, the Attorney General may file a complaint against the Respondent in state court, or may seek to intervene in any private action which the Complainant has filed. In Court, the Attorney General may seek injunctive relief (e.g., reinstatement, training requirements, and so on), back pay awards, front pay awards and damages for the Complainant, civil penalties (if applicable), attorney’s fees and costs. The Attorney General also may seek criminal penalties under the Drug Testing and Polygraph Protection Acts.